Few job titles carry with them as much fascination and intrigue as that of "special agent." Most likely, the term immediately conjures images of talented FBI agents, covert operatives, or even men in black suits and dark sunglasses, all of whom are named "Smith." Popularized by all sorts of movie and television depictions, special agents are most often assumed to be working fascinating cases and traveling to exotic places. Though the glamour of special agent jobs is often exaggerated, they do tend to pay higher salaries (often six figures) and come with more intensive and specialized training. With all that these types of jobs have to offer, it's little wonder that so many folks hoping to find jobs in criminal justice or criminology would be interested in pursuing special agent careers. Check out these great special agent career profiles for more information on agencies, specialties, and requirements. Perhaps the most storied and famous investigative body within the United States Federal Government, special agents with the Federal Bureau of Investigations (FBI) do it all. From financial fraud to fighting terrorism, the FBI offers opportunities for agents to specialize in a host of criminal investigations. 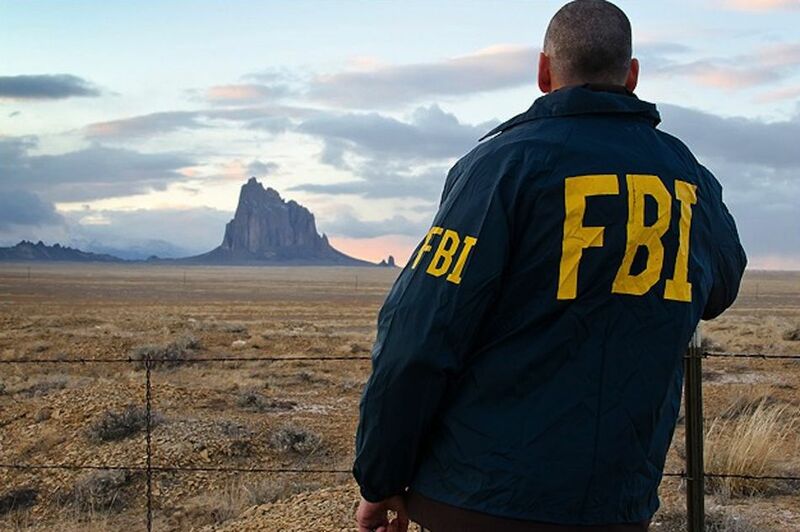 Though their jurisdiction is restricted to within the United States and its territories, FBI agents also work around the world assisting foreign investigative bodies when U.S. citizens are victims or suspects of certain crimes. FBI agents receive training at the FBI Academy in Quantico, VA and must be willing to work anywhere they are assigned. There are multiple hiring tracks, depending on an individual's area of expertise, the level of education and prior law enforcement experience. The original men in black, secret service agents have two very unique roles within law enforcement. Most famously, the U.S. Secret Service is responsible for protecting the President of the United States, as well as other high-ranking U.S. officials and visiting foreign leaders. Agents are experts in dignitary protection, and they provide training to state and local law enforcement. Besides protecting POTUS, Secret Service agents safeguard the U.S. financial system by investigating incidents of money laundering, financial fraud, and especially counterfeiting of money. The Air Force Office of Special Investigations supports the United States Air Force by investigating major or violent crimes involving Air Force personnel, conducting internal investigations, and gathering intelligence on enemy forces, and investigating threats to Air Force interests and assets. Modeled after the FBI, AFOSI has broad investigative responsibilities everywhere the U.S. Air Force has a presence. Special agents come from both civilian and military ranks and must be ready and willing to live and work almost anywhere in the world. AFOSI is also the national leader in cyber crimes investigations and hosts the Defense Cyber Crime Center. Like Air Force investigators, U.S. Army special agents are responsible for conducting internal and criminal investigations of Army military and civilian personnel. Nearly any crime involving Army interests may fall under the jurisdiction of the U.S. Army Criminal Investigations Command, though the focus is primarily on crimes of violence, fraud and other major violations of the Uniform Code of Military Justice. Army investigators are highly trained and consist of civilian special agents and military police personnel. Agents must be highly educated and ready to work anywhere in the world. Perhaps best known among military law enforcement careers due to the television series NCIS, special agents within the Department of the Navy conduct major investigations involving members of the United States Navy and U.S. Marine Corps. NCIS agents conduct independent investigations, as well as assist local law enforcement when a local investigation involves Navy personnel or interests. Immigration and Customs Enforcement (ICE) agents and Homeland Security investigators work within the United States Department of Homeland Security and conduct specialized investigations into threats to U.S. citizens as well as violations of customs laws. ICE and Homeland Security agents are primarily focused on keeping dangerous individuals from entering the U.S., preventing human trafficking, investigating international money laundering and assisting in drug enforcement efforts. Agents of the Federal Bureau of Alcohol, Tobacco, Firearms, and Explosives (ATF) serve an important roll in regulating vices and helping to keep dangerous weapons and materials out of the hands of criminals. ATF agents are tasked with investigating the trafficking of firearms, arson investigations, illegal sales of alcohol and tobacco products, and the sale, transfer, and use of explosives and explosive materials. ATF agents conduct extensive undercover operations. They may be required to travel for extended periods of time. The Drug Enforcement Agency (DEA) is the federal agency on the forefront of the fight against drugs. Agents work very closely with state, local and foreign law enforcement agencies and perform undercover investigations. They also provide intelligence and training support to law enforcement agencies around the country. The DEA prefers agents to hold, at a minimum, a four-year degree. Preference is given to those with prior law enforcement experience and advanced degrees. The U.S. Department of Defense (DoD) is a huge bureaucracy that hosts the four war-fighting branches of the U.S. Armed Forces. While each individual branch employs its own special investigative body, Department of Defense special agents are uniquely tasked with conducting investigations of instances of fraud and financial crimes, particularly as they relate to procurement and executions of military contracts. Many of its offices are housed in Washington, D.C. in the Pentagon. The Department of Defense Criminal Investigative Services works to protect DoD personnel by ensuring purchased equipment is delivered and operative. The service's primary mission is to ensure the safety of all civilian and military DoD personnel. DCIS also assists other agencies in investigating cyber crimes and national security threats.